Healthy Wifestyle is a lifestyle blog dedicated to providing its readers with the tools to live a happy, healthy, and inspired life, all while keeping it real and fun. Nov 21 See You In 2018! Well, I’m officially 41 weeks pregnant, writing what will be my last blog of 2017. So crazy! Don’t worry, I’ll still be hanging out on Instagram, but my maternity leave will be from blog writing and my nutrition clients as I ease into motherhood over the next several months. I plan on coming back around February—make sure you’re following me on Instagram so you can see when I’m back in action! This year was full of ups and downs, highs and lows, and some of the most exciting times I’ve ever experienced. Interestingly enough, many of those exciting times were simultaneously the most challenging, and a vast majority of them had to do with pregnancy. I’ve been pregnant for most of 2017 (total cliché but our conception date was right around Valentine’s Day! ), so this year was all about the little babe I’ve been growing in my belly. Prior to getting pregnant, I’d really been struggling with what my next move would be in my business. I wanted to step back from coaching nutrition clients virtually since I didn’t feel as connected when coaching this way compared to doing it in person. I decided to keep my virtual programs open (check out Eat Your Way Thin here and Food or Fiction here) and focus more on in-person coaching, all while still having an avenue to connect virtually that felt more authentic and real. Alas, Healthy Wifestyle was born and I’ve been loving the new community that’s come this way over the past year. I was also searching for another outlet for my business, which is where the yoga sculpt teacher training I did back in January came in. This was a total game changer for me, and even though I was only able to teach a few classes, I’m so excited to jumpstart this in the New Year! If you’re local, come find me at Oxygen Fitness and Halo Studios in New Canaan starting in February. And then, there was the whole “I want to start a family” versus the “I want to be a badass business woman” argument that was constantly circling in my mind. I really didn’t think I could do both simultaneously, despite watching many friends and colleagues conquer it all with ease. This held me back from starting a family for months—even though Ryan won’t outright say it, he was ready to start a family long before I was. Mother Nature didn’t give us much of a choice, though, since my pregnancy was a total surprise. I certainly am grateful and wouldn’t have it any other way, especially considering the amount of infertility going on all around us. I feel very fortunate to have had that decision made for me. Everything changed with my pregnancy. I stopped caring so much about my business and putting all of my eggs in one basket, and realized that there was a role I was clearly meant to play above all else: MOM. Pregnancy hasn’t been easy for me, and not gonna lie—I envy those women who seem to love being pregnant and feel great all the time. In my case, something “weird” seemed to happen every month that none of my friends had experienced (like extreme belly button pain with growth of baby and veins in weird places to name a few). But I know every hardship will be worth it once I see this little baby’s face, so I’ve done my best to remain positive and remember that my journey is my own! 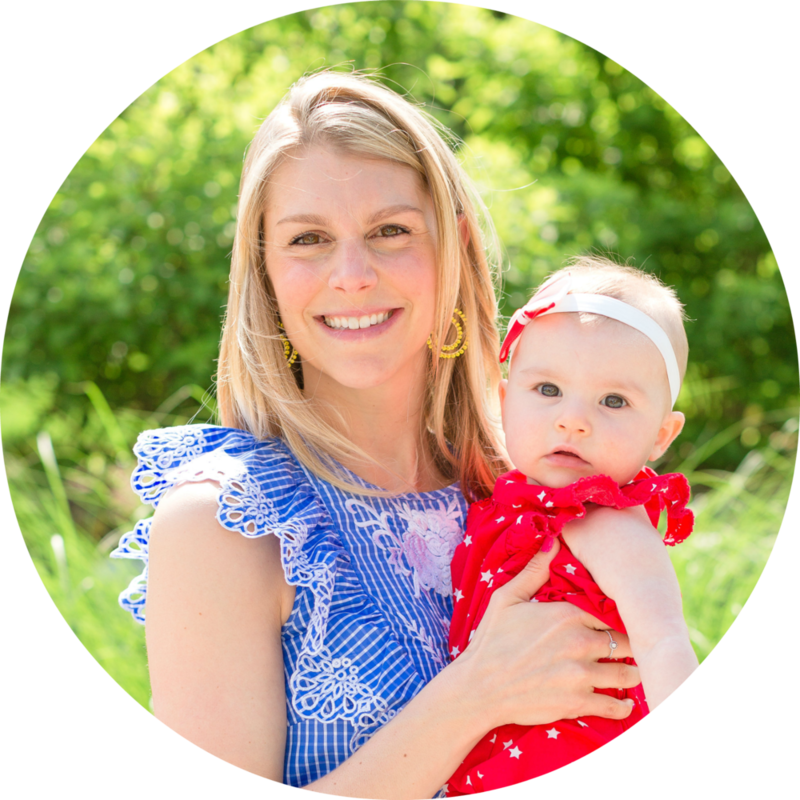 I’ve gone from a business and success-hungry woman who was trying to prove herself constantly to a chilled out mama-to-be who truly enjoys her work and can’t wait to see what the future holds. I took my own advice for once and remembered that my uniqueness is what will make magical things happen in my own life and in my family’s life. It’s no surprise that I got pregnant while I was in San Diego doing a yoga training. San Diego is my happy place, and I was at peace with myself at that moment in time. I could go on and on about this year, but let’s save it all for my reflections once the New Year hits and I’ve got our baby girl in my arms. I’m so excited to be a Mom! I want to thank you guys for being here and for supporting me as I’ve built Healthy Wifestyle—it’s been so amazing connecting with you both here and on Instagram and truly makes my day. Your messages, comments, DMs—all of it pushes me to do what I do, and I couldn’t be more grateful for you! We’ll be announcing the baby’s birth on Instagram, so stay tuned! Until then, love you lots, and cheers to a happy and fun-filled end to 2017. Get "in the know" on subscriber exclusives and content freebies. It's totes worth your while!